• Strategic vision. Wendy has a way of seeing how people and systems work and bringing people together to make change happen. • Way with words. She helps clients zero in on key messages and themes that define their businesses. She’s also a professional speaker and trainer and has spoken across the country and in Europe on a variety of business topics. • Bright ideas. More than once described as a “popcorn popper of ideas,” Wendy focuses on the end result and always has more than one way to get there. She sees the big picture and is able to move people and organizations to the big goals. Wendy received a bachelor’s degree from the College of St. Catherine and a master’s degree in leadership from Augsburg College. 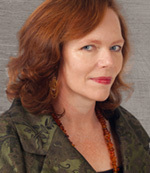 She has worked with professional service organizations since 1987. Wendy produces self-study courses for Western CPE. Identify your networking type and factors that contribute to the success or failure of networking. Choose the best networking groups and positions to create opportunities for success. Determine the amount of professional interaction needed to move an individual from prospect to client. Differentiate between introductions and referrals.